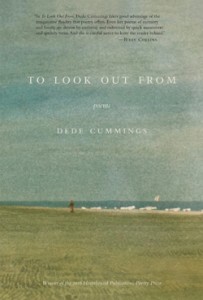 On April 11th, 2017, we will release To Look Out From by Dede Cummings, winner of the 2016 Homebound Publications Poetry Prize! Look for To Look Out From wherever books are sold. If you reserve your copy in our bookstore, you also have the opportunity to participate in our Reciprocity Project. For the entire year of 2017, for every order that comes through our store, we will donate one new book to a public library, school library, hospital library or prison library within the United States. How it works: It all starts with a visit our store. When you visit the Homebound Publications Store and make a purchase (there is no minimum purchase required) our order office will receive your order, process your order and send your books to you; while at the same time selecting a book from our press’ offerings to donate to either a public library, a school library, a hospital library or a prison library. (Each month we will choose a different library to receive that month’s donations.) It is that easy. Dede Cummings is a writer, literary agent/publisher and commentator for Vermont Public Radio. At Middlebury College, she was the recipient of the Mary Dunning Thwing Award, attended the Bread Loaf Writers’ Conference as an undergraduate writer, and studied with Hayden Carruth at the Bennington Writers’ Workshop. In 2013, she was a poetry contributor at the Bread Loaf Writers’ Conference. Her poetry has been published inMademoiselle, The Lake, InQuire, Vending Machine Press, Kentucky Review, Connotation Press, andBloodroot Literary Magazine. She was a Discover/The Nation poetry semi-finalist and was awarded a writer’s grant and a partial fellowship from the Vermont Studio Center in 2016. Dede lives in Vermont where she designs books and runs the startup Green Writers Press.